Nanoparticles of different metals (gold, silver, palladium, etc.) 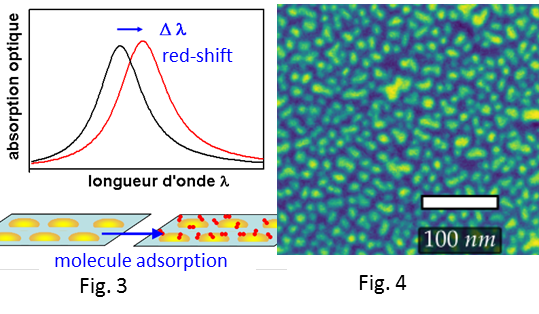 have particular optical properties, related to the so-called localized surface plasmon resonances, which are collective oscillations of the conduction electrons confined within the particles, as illustrated in Fig.1. 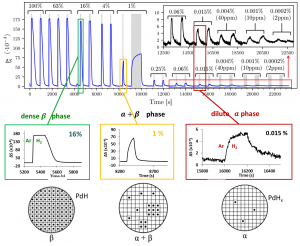 For example, plasmon resonance for Au is in the visible optical range, and gives a red or purple color to Au particles instead of the usual yellow color (Fig.2). This resonance is very sensitive to the immediate environment of the particles and can be strongly affected when the particles interact with molecules or ions. 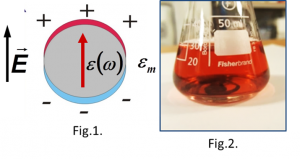 Thanks to this very high sensitivity, gas or biological sensors based on nanoparticles of gold, gold-based alloys or other metals  are being developed (see Fig. 3). 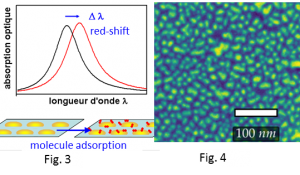 We have developed an original optical technique, the reflectance anisotropy spectroscopy (RAS), which allows us to achieve a higher sensitivity than conventional plasmonic sensors, making it possible to demonstrate the adsorption of very small quantities of molecules. We used it to study the reaction of hydrogen with gold nanoparticles  or to make a prototype hydrogen sensor . 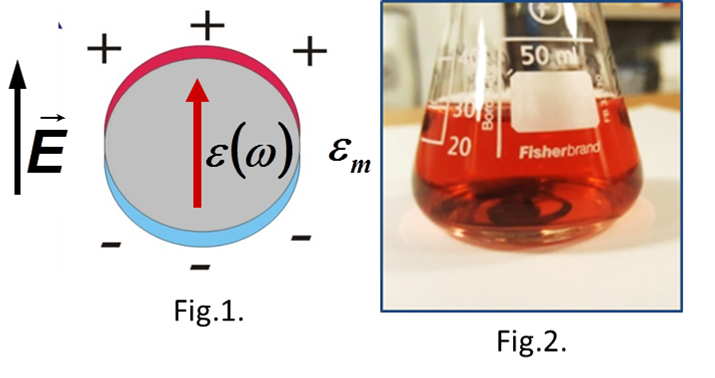 For this purpose, specific samples with optical dichroism are prepared by evaporation of gold and / or palladium on a glass substrate (fig 4). 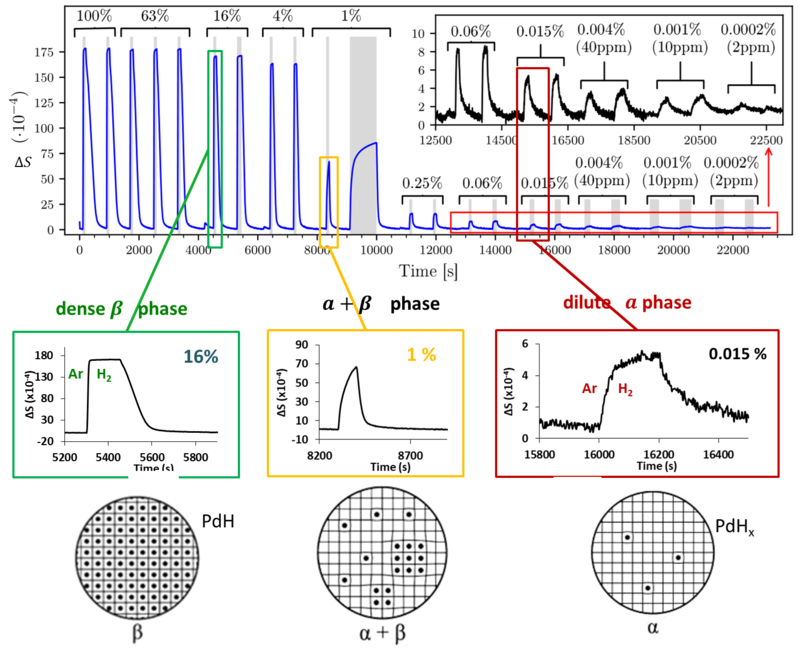 Mechanism of hydrogen adsorption on gold nanoparticles and charge transfer probed by anisotropic surface plasmon resonance.